Getting a bit more personal than I have in a while, some of you have asked that I share this experience and to be honest, I feel that as it pertains to my own level of personal confidence and value and worth, I need to share. I LOOK Just. Like. Him. Seven years ago, I decided to Google my father. Then I was 24, about to graduate from undergrad, dating a man I was in love with and was curious about where I came from. Unbeknownst to me, it was father’s day when I found him. This week was both the highest, lowest, and most self-revealing time that both excited and scared me. You see, I grew up with a single mother and a grandmother who pushed independence, education, and self-preservation. My mother wanted me to see the world, be able to stand on my own two feet with or without a man, teaching me to cook, clean, be a lady, eat at a $5 or $5000 table, and to have my education to lean on. All I knew was how to be strong- or how to push aside my emotions and forge ahead. To keep moving forward regardless of circumstance. I longed for Love. But growing up as a child, I longed for my father. Longed for the hugs from the man who I came from. Longed for those father daughter dances. Longed for the love and affection from the man I never known to be my father. In that longing, I acted out. I buried my feelings. I over achieved. I sought out acceptance from others. I longed for love. Seven years I waited, emotionally conflicted. Seven years since finding him, I also found my father’s family (or they found me rather). A few cities away this whole time. Seven years since finding him, he lived in Mississippi, now a PASTOR, with three children and a stepdaughter. Where do I fit in? I asked myself. These past seven years, I waited… exchanged phone calls and listened to promises of meeting in real life. I was conflicted, frustrated, excited, and spent. Was our meeting really going to happen? Would I have the chance to hug my father and stare into the eyes of the man who I was half of? Would I be accepted 100%? Was I ready for this emotionally? How would I feel? How would his family feel? How do I make room for this family and their love? Was I capable of making room? As you can see, I had questions. But my emotions are what surprised me the most. Emotions that ran deep. Deeper than I ever knew. Emotions suppressed. Then a date was set. He was headed to California for my cousin’s wedding and wanted to make time for us to finally meet. Again, I was conflicted. Emotions surfaced. My nerves were shaken. Every call I had with him leading up to our meeting left me in tears and an emotional wreck. Thank GOD for friends, Uncles, Stepfathers, and Brothers in Law. As I drove to my aunt’s (his sister’s home) accompanied with my close friend, my nerves took over. I was afraid. I had no expectations- trying to protect myself and keep myself ready for the worst. This day, I had the weight of the world on my shoulders. 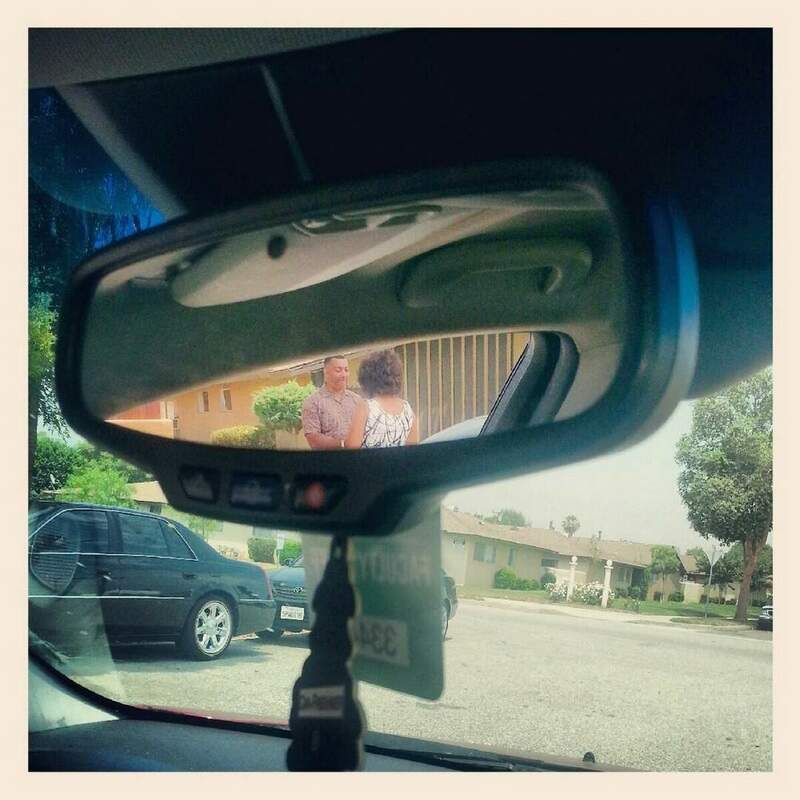 As I pulled up, my cousin (who if not for her, this would not have happened) was there with my father. He was a bit of a light bright. I Looked. Just. Like. Him. There was NO denying this. We talked. We spoke. I was both frank and open. 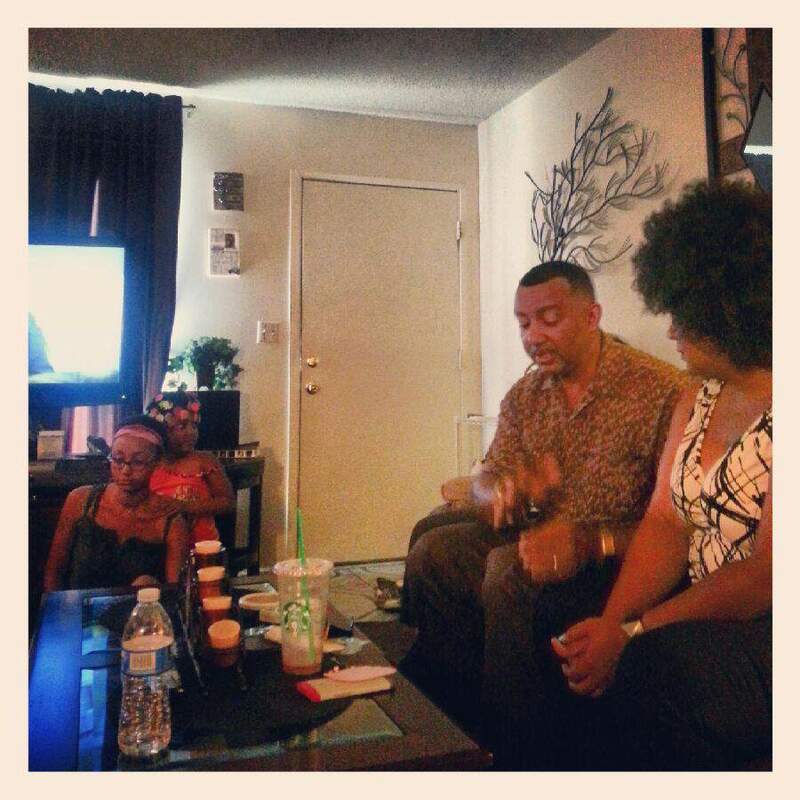 I shared my feelings, opened up emotionally; my family surrounded me with love and acceptance. I prayed for this. Even as I write this, I have tears in my eyes as this makes me so grateful and happy about this chapter, this little girl’s wish, and the new family who opened their arms to me. Over the next few days, I met my great aunt (my grandmother’s sister), celebrated in my cousin’s wedding festivities, and spent quality time with my newly found sisters. Interestingly enough, this could not have been better timed. You see, I am currently at a place where I am ready for a relationship. Ready for my own love and family… but I did not want the baggage of my emotions with and of my father to come to and with my relationships. Maybe this was why I busied myself in work… SMH. 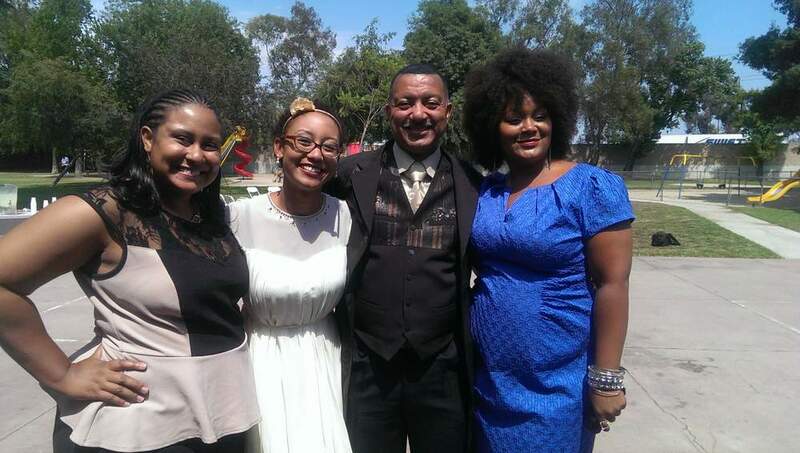 To have met my father, my sisters, my cousins, my aunt, and others and to celebrate in this momentous time in my family’s life- my cousin’s wedding, THIS was a blessing. 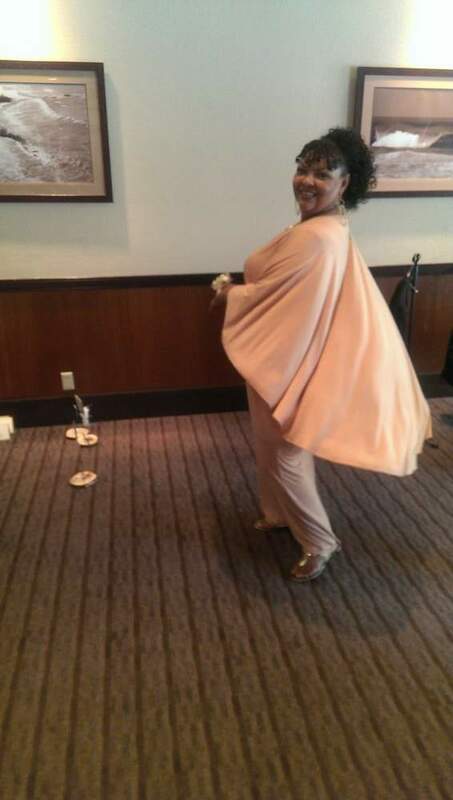 My Aunt Shon was even rocking a Monif C Dress! I think to myself how fortunate I am… to have the chance to find my father, come to terms with my emotions and inner turmoils, and to finally look him in the eyes- I am blessed. BEYOND. One Chapter closed and a new one to be written… where will this new relationship and family fit in? I do not know. All I know is that I am so grateful for this chance to let love into a place where fear, doubt, and emotional scars once lived. Baby steps. Baby Steps. Baby Steps. Have You Checked Out Monif C’s Latest Arrivals? I STAND and APPLAUD you for sharing this. I just had a conversation with my bro in law since I, too, am at a transition period in my life. When you bring the hidden out, you feel vulnerable but at the same time you are speaking it out and allowing God to bless you and use the situation for good. Congratulations. One cant ever have enough love from family! Be blessed!!! I just want to say think you for being so open about something so intense and emotional. Thanks for sharing your blessings. It truly touched my heart. You are a strong, beautiful woman! This story touched my heart! Thank you for sharing! You rock! Crying now Marie! You are indeed blessed! Although I grew up with a close bond to my father, I lost him to illness 6 years ago. Enjoy your blessings. You are never too old to be a ‘Daddy’s Girl’! You are an Amazing and Strong woman. Your story is powerful and needed for so many women. Our story is very similar, I’m an only child to my mom and grew up longing for my father as well. I connected with him at age 30 and I had so many questions and I too looked just like him. Within the first month of us meeting my father found out he had cancer and all of his other children are in other states and it was just me here to care for a man I barely knew. But I too opened my heart and asked God to guide me along this journey. My father is better but still dealing with some very serious healthy issues. So yes, love, enjoy your new found family, allow that baggage to drop off your shoulders with each step forward. Your heart is full with love and I can tell by your story. Use that love in every aspect of your life and watch all your dreams unfold! You are truly amazing! thank you madame… what an amazing story too!!! Thank you! Stop it! You’re all just so gorgeous! Your father is one handsome guy, and I’m so glad you had a great experience meeting him and he’s who you wanted him to be. I’m also glad you shared this with your readers. We’re honored to read your story. I was adopted by a single mother when I was 3 months old. She told me from an early age that I was adopted and I never really had any questions about it or interest in finding my bio parents until I was much older, in my late 20s. I didn’t try finding my bio mom until I was in my early 30s. Since it was a closed adoption, I needed to get social services in the county where I was born to open my adoption file to give me my bio mom’s name. That meant I had to send a bunch of forms to Sacramento, CA’s capitol, so they could request social services to open my adoption file. Somehow, that never worked. I notarized the forms and mailed them off to Sacramento, but never heard back from anyone. When I called to find out what was happening, I got a voicemail system that was endlessly full and could never take any more messages. …So I gave up on the search for a few more years, until I was 39. At that point, I was finally making enough money that I could employ a private investigator who specialized in finding bio parents. I paid $900 for her services and within 2 months, she’d done what she said she could do. She found my bio mom. There was no info on my bio dad, since my bio mom hadn’t wanted him to know she was pregnant and didn’t put his name on any of the adoption forms. When the P.I. found my bio mom, she was living in upstate NY, her hometown, and essentially homeless. She was living at a YMCA women’s shelter, where she’d been for the past 2 years. As I got to know my bio mom, I realized the homelessness was her own doing. She’s an emotionally imbalanced person, letting her whims control her spending, and had essentially spent herself into the poorhouse. She was a retired telephone operator, so she hadn’t made beaucoup bucks in her career. But since phone operators are unionized, she had a pretty good retirement package…but had unfortunately made some bad investments with her retirement money, which also accounted for her homeless situation. So far, we haven’t met in person. I haven’t saved enough money to travel to NY, and my bio mom certainly doesn’t have any money. About a year after our first phone conversation, the government helped her find an apartment for which she was given assistance. She took a job as a personal shopper at an upscale grocery store that had just opened up in her town, but kept the job for only about 8 months before she quit, claiming back problems. I think she just really doesn’t want to work. She’s also been occasionally flaky in our communications, promising to call or send me a card for my b-day, but never following through. So on the one hand, it’s been great to talk to my bio mom and see pictures of her online. I look a lot like her, which is something I never got from my adoptive family. I don’t look like anyone there, so seeing pics of someone with whom you share facial features is pretty cool. …But getting to know my bio mom has been pretty disappointing, since she’s not who I hoped she’d be. I’m still trying to process that one, along with so many other disappointments from adults who were supposed to be parental or guidance figures in my life and turned out to be troubled people who really couldn’t do the job. Which is why it’s great your dad has his life together and he’s who you hoped he’d be. I hope your relationship with him continues to grow in all the ways you want and he gives you another level of family support. Marie! This may be my favorite post of yours. You brought tears to my eyes. This is so beautiful and special. You’re so brave to share it. I know you’ve inspired many. So much love for you and for this post! !!! Patrice! Thank you sooo much for your love and support in this. I cannot even tell you how therapeutic this has been for me… sharing. opening up, processing my emotions… Thank you for reading!!!! Crying… I’m so happy for you! I always wonder about the circumstances in which people never meet their fathers. It baffles and intrigues me at the same time. My father has always been in my home, but he and my sister (half) have a difficult relationship b/c he wasn’t there for her like he was for me and my siblings. I see her struggles with it and how it has affected her relationships. I wonder if I would have been the same under the same circumstances. I’m so happy that you have decided to heal. Now on to that boo thang! Hahahahah, yes, now onto that boo thang!!! I am ready! Thank you sooo much SHarelle! Really mean a lot! xoxo…Girl aint like a big 360! !…cant wait to see you in October! See…. this right here is just… #TEARS !! I am SOOO happy for your Marie :-)! God is good! I pray for continued peace & happiness for you and your family as you continue getting to know one another. Thank you soooo much sis! It has been a long conversation with God and I about this!!! Tears in my eyes too. I’m in awe of your bravery to share this with your readers. I can only imagine the mixed emotions that led up to this moment and I’m so glad it resolved itself to be so joyful. I remember when you posted the picture and I thought the same thing you did, “You look so much like him”. I’m so thrilled for you Marie. I always say that family is who you choose not just your blood and it looks like you now have chosen more wonderful people to become part of your family. Thank you madame! Ithank you for your support and love! Wow! Thanks for sharing. You said it, “You are Blessed” and it’s wonderful to know that you know it. 😀 thank you too for showing love! Much appreciated! Thank you for sharing such a personal story with us. You are definitely blessed. And seriously you are the splitting image of your dad! Awwww – congrats! So happy for you! Wiping away the tears) Thank you for sharing such an intimate part of your life, so many of us unfortunately have experienced the same or similar situations. My father apologized to me seven years ago for not being in my life and it was as if all of the questions, insecurity, pain and anger were alleviated just a little. I just needed to know that I was loved by my dad and honestly he needed to know he wasn’t hated by me. We are still healing and learning about each other and happy to say that I definitely feel like a daddy’s girl. HEALING…all is well with my soul. My prayers and positive energy go out to you and your family. Sending healing prayers to you and yours as well madame! Wow !!! reading this got me very emotional (tears). I am glad you found you father after all these years and that you were able to connect with him like he was always there. The fact that you and your sisters were able to embrace each other is even more powerful. I hope you enjoy every second with them. How timely is this post- especially with Oprah finishing her Daddyless Daughters series. So emotional, so powerful…and such real life. Quite often, when we are writing/reading about things like fashion, its hard to forget that there are real people under all those fabulous clothes. 🙂 thank you Michelle, it means a lot for the love! This is so beautiful Marie! I am glad you had a pleasant experience. I hope you all can grow and build a fruitful, loving relationship in the future. Thank you! It is still baby steps! So honored to read your story.. thank you for sharing it. I as of yet have not had the conviction to meet my Paternal Father. There is too much negativity to my story and may never reach that decision to do so. Through you I live the fairy tale ending and for that I am thankful. Much love to you and sending you love and light and healing. As someone whose career is spent working with kids who have “holes in their story” and an identity cobbled together from absences, losses, dreams and wishes, I have some idea about what you had to do to get here. I really think you are amazingly generous to put it out here like this. And I LOVE the fact that you are cautious, realistic, and paying really good attention to your inner world as you decide to move forward from here. You’re pretty awesome, really. Outside AND in. Thank you sooo much madame… than kyou kindly. I love you for sharing this! I hope to have a happy ending like this for myself one day. I know this will be a journey for you and I hope it is one that is full of love! what an amazing story. I am happy you reunited with your daddy :). thank you so much for sharing this… i came across this post the night before i meet my birth father, internet searching for similar stories. it’s personal for you but know that it’s a life raft for some, those who are still nervous and in the same situation. Thank you sooo much madame. BEAUTIFULLY written Marie!!! Thank you much for sharing ‘you’! Did he pay child support while you were growing up? If not, make sure you collect it now. I am almost 38 and have never met my biological father. I found out that my Dad wasn’t my biological father when I was in my early teens and I’m not sure if I was angry at his abandonment or just didn’t want to hurt my Dad’s feelings but I chose to just let it go and not try and contact him. Maybe I am missing out, maybe I am better off. I’m not really sure, I do know that many people don’t understand my position but I don’t think I’m alone. I am collecting stories about this and many other topics on my blog if anyone would like to share. The man who raised you is your father, end of story. Ask him to adopt you, if he hasn’t already done so. Its better to find out and to feel something than not feeling anything at all. You may get hurt if you do well you’ll move on like you did you rest of your life before you thought of getting to know him. He might be looking for you too who knows. If you live better off not knowing him than if i were you i would permantly forget and stop looking for stories. I’ve been a fan of yours for over a year now and was surprised when finding this article when I googled “meeting your father for the first time” thank you for sharing. Two days ago my bio father’s family found me and we are set to meet tomo. I’m not afraid, or nervous but I am feeling very confused. I hope when I meet him these feelings will solidify into something positive. My heart goes out to you and yours… it is an emotional time and let whatever you feel flow through you… do not hold back but embrace and grow through whatever happens tomorrow! 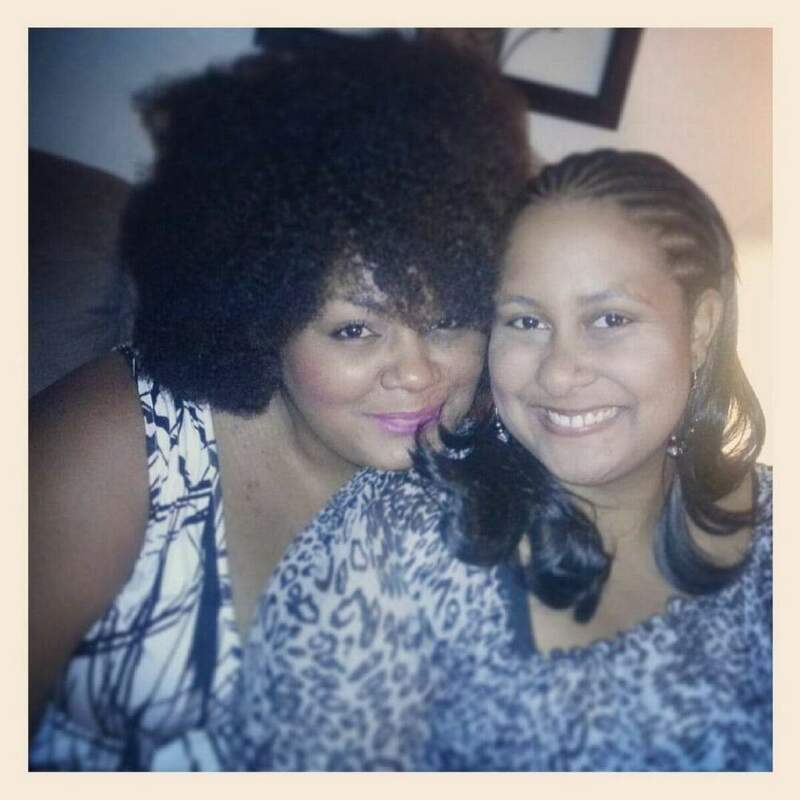 I prayed on keeping an open mind and heart in this entire process… my heart out to you boo! XOXOXO GOD LUCK! Like yourself, I grew up in a single parent household. Not having my dad in life hurt like hell! But more than anything, I just wanted to see the face of the other half that brought me into this world. Having a relationship truly doesn’t matter–simply seeing his face is enough to give me closure. Here’s where it gets weird. When I would search his name, only white men and one black guy would pop up. Years ago, I sent the black guy a message just asking if he had ever lived in my city. He never responded back, so I left it there assuming he was my dad. There was a profile of a musical instrument with the state my dad lived in, so I said to myself, “Go ahead click and see what’s in the profile.” I didn’t think much of it. To my surprise, there was one more picture–a picture of a tall, slim, light skin male as my mother described him to be. Also, a dark skin male had left him a comment stating something about being his brother. (My mother told me he had a dark brother.) Since he was more active on FB, I decided to check out his profile to see if there were any details that could assure things for me. SHOCKINGLY–his brother listed his hometown as the city my mother said my dad is from. Tears rushed down my face when I saw this info., inside I knew that even if I never speak to him, I know this man is my dad. The picture is enough to give me the closure. As I scanned through the profiles of other people with their surname, I saw what would be my cousins, aunts, even my grandmother who look just like me. God has a funny way of doing things and revealing things. Even though the other guy didn’t live in the city/state, I had put in my mind it was him, but now I know for a fact he isn’t and who is. Lastly, my other confirmations from God is: I was listening to a random Youtube video while finding his profile and they mentioned the city my dad is originally from. Then when searching for what to expect when meeting your dad for the first time, I found your blog–I am 32 and you stated you met your dad for the first time at this exact age. Thank God for all the signs and finally allowing me to get the closure I very much needed. I am also happy for you because I know how you felt not having him in your life and fianlly being able to have him in it. Stay blessed! OMGGGGGGG! Have you reached out? I need to know more! Thank you so much for sharing your story and I pray for closure and healing for you love! OMG, I need to know what happens! Okay?! Hey, thanks for the reply back. To be honest, I’m scared of what may happen. I haven’t even told my mother yet. I did send a message last night, asking if he lived in a certain area of town in the 80’s just to see his response. I haven’t received a response back yet as he hasn’t been on there since. However, I wonder if he ever will receive it because I have heard that people have to be on your friends list to receive your messages, so unsure. I truly appreciate your well wishes. You and your dad are twins lol. You are beautiful people and I’m sooo happy for the both of you as well as your siblings! I want to thank you for sharing your story! I know this is several years old, but my mom sent it to me because tomorrow I am meeting my father for the first time and couldn’t be more nervous. I am 34 years old and like you have always had that yearning for the missing piece. Last Friday I decided once again to look (as I have on and off for the past 20 years) and bam, one thing led to another and I found him. I am excited but also scared, thinking is he going to live up to the fantasy I have always played in my head of what and who he was. All I know is being in your 30’s and saying over and over again, “i have a Dad” is the most unreal and exhilarating feeling. I don’t know what tomorrow will bring but I don’t know there wont be a dry eye in the house! P.s. I also couldn’t help but think, it was totally meant to be it happened to be as well Father’s day weekend!!! My daughter who’s turning 13 never met her father. I learned that her dad is in London for a visit from USA. A friend of mine suggested the idea that it’s about time for the two to meet up. Although it will be me reaching out to him through social media because we lost contact. I am very hesitant at the same time I knee deep inside it will make her the happiest. Just at a lost about it. Thank you for being vulnerable in sharing this. I needed to here from another soul going through this same experience. Your story is incredible. Thanks for sharing. I loved every bit of your story. It’s a dream come true. I am a father to a daughter in Spain. Well, I think so… I was in the Air Force and had a girl friend for a short time in Spain. 3 weeks to be exact. Then I returned to Germany. I received one letter from her shortly after returning to Germany, it was a simple letter, like you are a nice guy, I like your smile, etc… I (we) just knew it was nearly impossible to continue a relationship due to such distance. That was it. No more letters, nothing. Well… about 16 months later, the mother eventually wrote me another letter about two months before I departed to Florida. The letter stated that she has a daughter, and I was the father. Well, she hid her pregnancy from me. She waited for the child to be 7 months old, before I was contacted. I was in disbelief. I didn’t believe her at all. I didn’t trust. I didn’t know her any more. I shipped my possessions and left for FL. Never heard from her again. I was curious over many years.. I looked for this child on social media when it became available. From AOL to more common sites after a couple decades. She had a very common Spanish name to work from. Nothing… Then when she was 27 years old I found her on social media. Two years ago now. I was surprised of her resemblance. It was stunning. SHOCKED! I felt so bad, words can’t describe. I eventually reached out to her mom asking permission to speak to her. She eventually approved and even thanked me for letting them live an uncomplicated life. To sum this up quickly, her daughter was head over heals happy, I was an emotional wreck, overwhelmed with happiness, regret. Then things turned for the worse after about one year of very limited sharing of our lives on her behalf. It seems I was too over whelming for her and she said she’s at the end of the road with me. She doesn’t want to talk or even meet me. So, I’m back to square one. Asking why did she retract? No DNA… is she really mine despite such a remarkable resemblance? Is she that hurt that I moved on to FL, feeling abandonment? Thank you SO much for sharing!!! I, also recently met my Dad at 40 which was surprising because he was “REVEALED” to me as a result of submitting my DNA to Ancestry DNA less than 1 month ago! I thank you, I thank you, I TRULY THANK YOU!!!!!! Thank you for sharing your story! I’m about to meet my biological Dad for the first time in 49 years. I’m feeling so many new emotions that are so foreign to me. Just like others, I submitted my DNA to Ancestry.com just to learn my ethnicity – I had given up finding my father years ago. My DNA matched to a women who is an Aunt to me and a sister to my father. We started messaging, followed by a call from my father (which was MIND BLOWING), followed speaking more with my aunt on the phone and then an uncle. 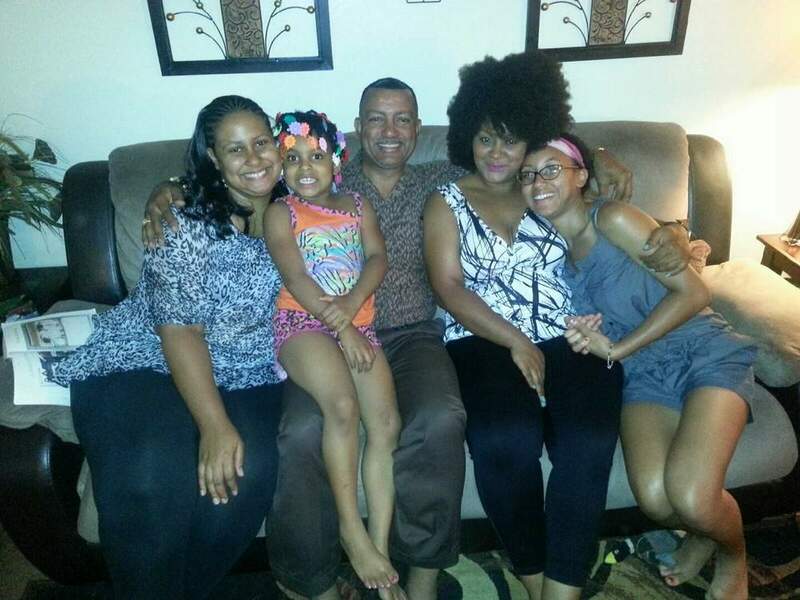 I went from never having a dad (only a single mother) and having a very small family to having a very large family – a father, a grandmother, and 4 siblings! Next week we (husband and son) travel to Idaho to meet many family members. I’m so excited, nervous, and open minded – heart and soul! Yikes/Yay! OMGGGGGGGG Good luck!!! I hope that your reunion is a positive one!